Michael Misconi has been involved in production since the year 2000. After graduating from the University of Florida, Misconi formed Blue Juice Films in order to produce the independent film THE TREATY. Misconi collaborated with long-time friend Mike Horan to create THE TREATY, and it was Horan who brought Tom Mumme on board as Director of Photography. The three formed a unique friendship that led to continued collaboration. 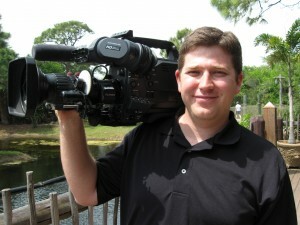 In addition to being a co-owner of Blue Juice Films, Michael Misconi also currently owns Digital Zoetrope Productions in Melbourne, FL, where he produces commercials that air on networks such as ESPN, USA, Comedy Central and Fox News as well as corporate industrial videos.